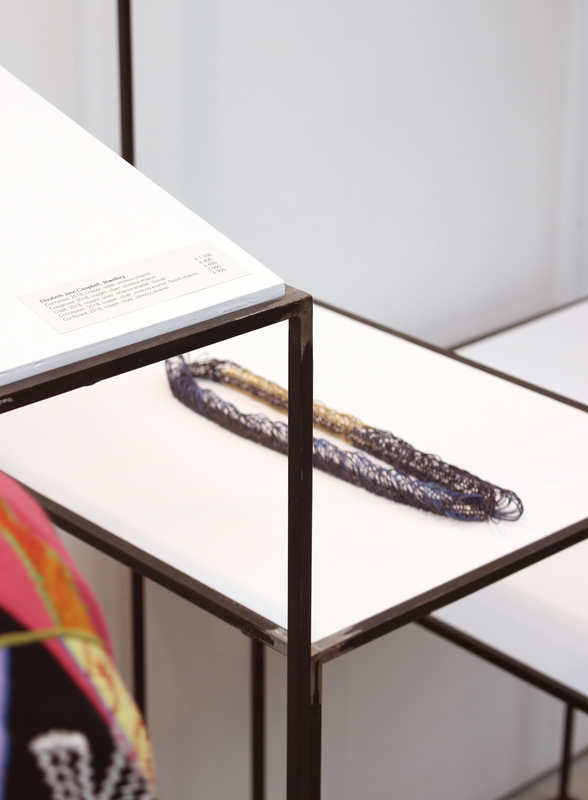 Following the success of their 2016 showcase at London Design Fair, GRAS were re commissioned by Craft Scotland and Emergents to design and build a stand to showcase Scotland-based designer-makers working across ceramics, lighting, glass, furniture, jewellery and textiles, at a variety of design shows during 2017 and 2018. 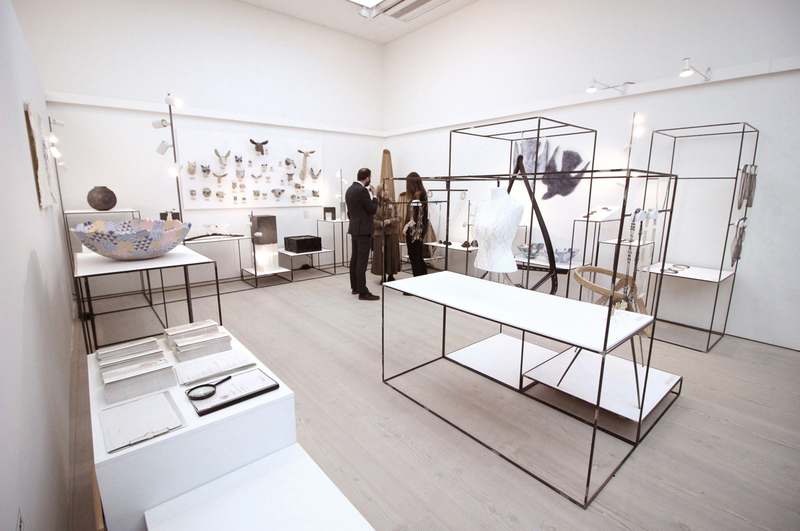 The stand design was developed around two core shows, at London Design Fair 2017 and at Collect 2018 at the Saatchi Gallery. 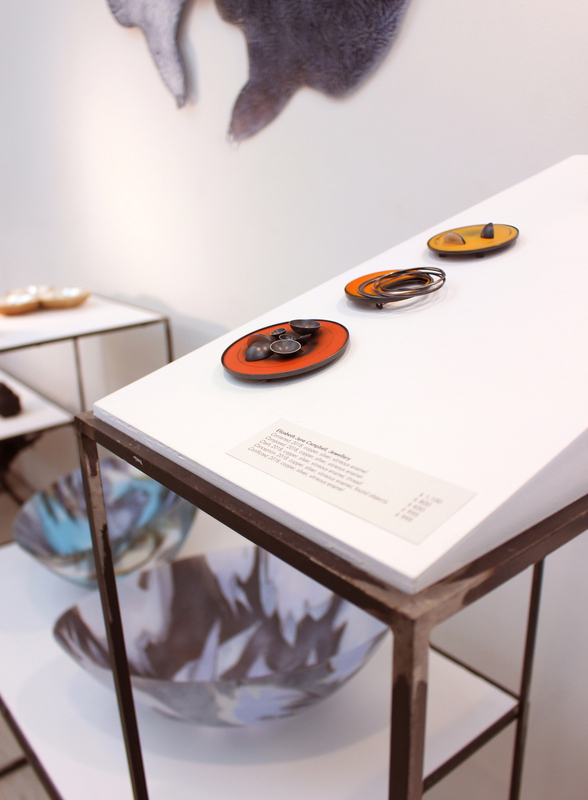 It has since been used for a Scotland Re:Designed showcase during London Design Festival and to present a Scotland-based designers showcase at Custom Lane in Leith. The structure was designed to provide a platform for each designer showing their own work in the best possible light, while also presenting the collective as a cohesive whole. It was conceived as a structure that would be highly engaging and elegant in its own right, reflecting the showcase’s focus on craftsmanship and design, while being subservient to the work on display. A central ambition was to use the minimum amount of material to create a robust, lightweight, stackable system which could be adapted and scaled to suit different spaces and to show different work. Following a process of prototyping and testing a basic module was created, from which all components could be created. This module consisted of an open sided cubic frame, formed in 10mm square mild steel bar into which base, side or top panels could be inserted. The basic cube was scaled and stretched to suit individual designer’s work, bringing small jewellery elements up to eye level, hanging fabrics and lights, or forming plinths for furniture at low level. 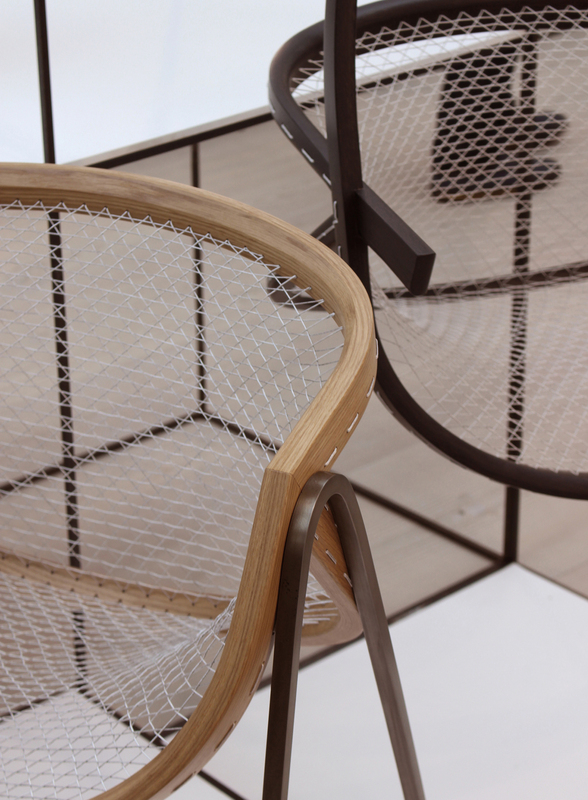 The adaptability of the frames allowed different approaches to be taken in the London Design Fair and Saatchi Gallery contexts. The former saw an organic, flowing form which large numbers of people could move around and through, while the latter was a more refined, regular layout arranged around the perimeter of a smaller, pristine gallery space creating a unique space of itself dedicated to exhibit pieces from 17 world-renowned established makers. The straight line on the floor made by the frames sitting next to each other helped to navigate the visitors and seamlessly led them from one entry point to the other. At the same time, the artworks were displayed within the extruded surfaces of the frames and emerged continuously. All components were designed and built by GRAS at the Custom Lane community workshop, transported to London overnight and installed by hand in two days. The installations remained in place for four days before being dismantled and returned to Edinburgh for repeat use. The components were sized to stack within one another, so that they could all fit within a single delivery load and all were light enough for one person to lift. While designed to be durable and long-lasting, all components are fully recyclable, and are intended to be used in multiple future locations.